Editable activities are perfect for creating hands on centers that are differentiated to meet the needs of all your students. Quickly create activities that target the words your children need to learn. Incorporate a multi-sensory approach by using the play dough mat provided. Perfect for literacy centers and word work stations. 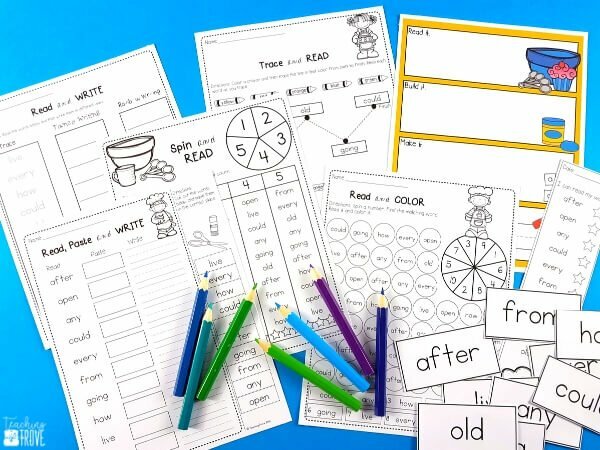 Subscribe to the Treasured Teachers Crew and get these editable sight word activities.